In a continuous initiative to tackle the market’s business challenges and provide a platform to resolve them, Vigor Events brought to you the best-selling author and one of the world’s top leading authorities on talent, leadership and culture, and the Executive Coach for Apple Inc. former CEO – Steve Jobs – to deliver a powerful one-day seminar titled “Talent Management & Succession Planning” on November 29th 2016. The seminar by John Mattone was a research-based program that used Mattone’s “Talent Cultural Model” as the foundation for teaching the critical high-potential assessment and development practices that make a positive impact on leaders, future leaders and the bottom-line! With a vast experience of over 30 years in the fields of leadership development, human capital management, and personal success as an entrepreneur who has built two successful consulting firm; John Mattone is known as the world’s leading “game- changing” leadership and talent management authority. He has been nominated for the prestigious 2013 Thinkers 50 Leadership Award. 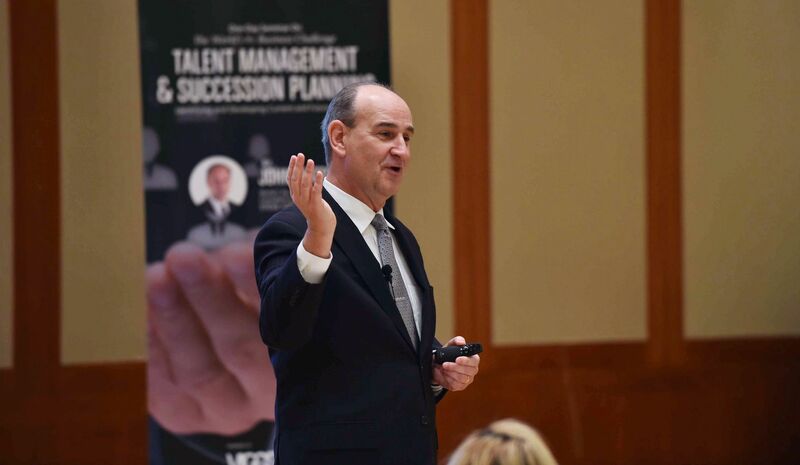 He is the co-author of one of the most respected studies of leadership and talent management in the world, The Trends in Leadership Development and Talent Management and the host of The CEO Magazine’s show The C-Suite Coaching Show with John Mattone. Vigor Events is organized the seminar in cooperation with Algas events.